A/NZ online wine seller, Just Wines Australia, has seen email-driven revenue lift by 17 per cent and unsubscribe rates fall by 43 per cent after investing in a fresh digital marketing platform and segmentation approach. Company CEO and founder, Nitesh Bhatia, said the business had been using a bunch of platforms prior to its adoption of Emarsys’ marketing platform, including Inxmail, Mailchimp and Mailigen, but was finding it difficult to analyse customer interactions smartly. Just Wines took its first steps to migrating to Emarsys 18 months ago, initially with the intention of automating and controlling personalised customer messaging more effectively. More recently, it has been harnessing the expanded artificial intelligence (AI) capabilities of the marketing platform, including Smart Insight and Omni-channel Automation. 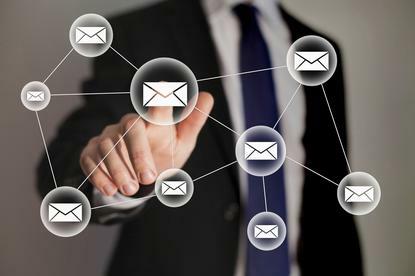 It’s a move that’s seen the company reduce communications being sent to customers while better utilising buyer segmentation to personalise emails. This is being achieved by better tapping into behaviours and preferences. “Put simply, we have moved away from sending everyone an email every day,” Bhatia said. “I personally don’t like it and would not expect businesses to do that to me. We send specific offers to specific buyers; if you like a certain kind of wine, perhaps we send something only once a month. Why email people every day? With email the largest revenue driver for Just Wines, it was important to find a platform that was easy to use, automated email marketing and offered scale as the business grows its customer base and reach. Just Wines launched in 2012 and now offers 6000 wines from more than 1000 winemakers from Australia and New Zealand. It has 70,000 customers and is selling 150,000 bottles per month. To date, Just Wines has seen an increase in email-driven revenue of 17 per cent, while unsubscribe rates reduced by 43 per cent. Alongside the Emarsys investment, Just Wines has been actively using other technologies to help build customer engagement. One example Bhatia pointed to is a tool called Yotpo, which provides customers with a direct line to give reviews and feedback on what they like or don’t like about services or products. Another tech in the Just Wines mix is Hotja, which the team taps into to understand and interact with website visitors and helps with determining what is and isn’t working digitally. “This way, we have another 1000 eyes checking our website with us, every day,” Bhatia said. Meanwhile, while the possibilities for personalising email are endless, Bhatia said Just Wines is being careful to take it one step at a time. “Personalising areas like what variety of wine you like and how frequently you like purchasing are the ones we are currently focusing on,” he explained. “A tool like Emarsys’ is a Ferrari with a powerful engine for us; we are learning from the amazing team at Emarsys about how to drive the car since it’s an advanced system we can benefit from by maximising its potential.